The Marine Molecular Bioengineering (MBB) research group integrates a range of cross-disciplinary expertise that focuses on the integration of biology with biophysics and bioengineering. The current main objective of the MMB group is the development and application of nano- and bio-technological tools and materials, including their toxicological assessment, to marine sciences. 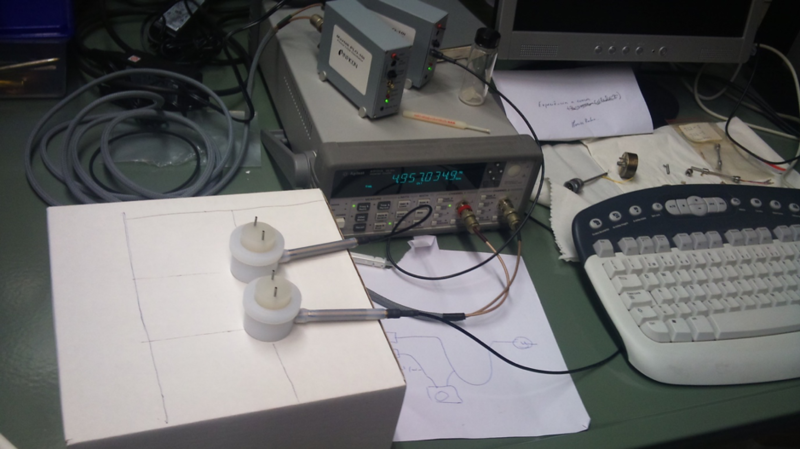 QCM/HCC, a prototype for the complete thermodynamic characterization of biomolecular interactions. The MMB group contributes with bioengineering and fundamental research methodologies and tools to the general CCMAR research in marine biology, currently with the main focus on nanotechnological methodologies and applications to environment and human health issues. The current activities of the MMB group include the development of polymeric-based nano and microcarriers for drug delivery, the development of biosensor and calorimetric techniques for both basic and applied research, the characterisation of model membranes for various applications, and the toxicological assessment of new drugs and materials. MMB is comprised of five researchers with different backgrounds but complementary expertises shared through four labs: Bioengineering and Molecular Energetics, Drug Delivery, Biomembranes, and Pharmacogenomics and Molecular Toxicology. 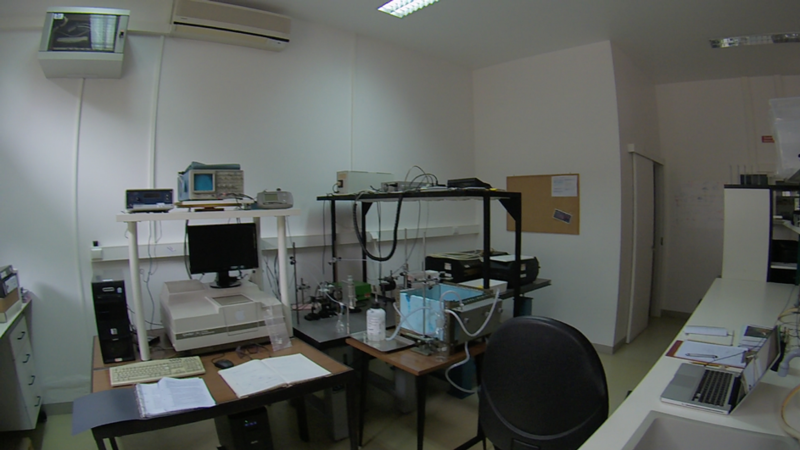 MMB also runs the new CCMAR Biological Spectroscopy Lab, dedicated to fundamental and applied research on biophysical-chemistry, namely on photosynthesis of marine organisms. Within these labs, the group has the combined expertises and experimental facilities to address both the fundamental and technological aspects of the sustainable exploration of marine materials, aiming at unlocking their potential to the objectives above. Read more about Inhalable Antitubercular Therapy Mediated by Locust Bean Gum Microparticles. 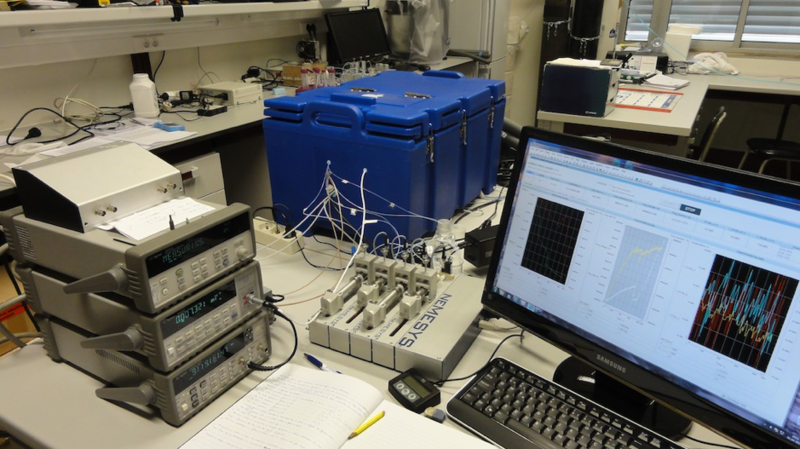 Read more about Can pyrene be localized inside lipid bilayers by simultaneously measuring Py values, and fulfilling the excimer formation conditions?